New York, NY – (March 18, 2019): United Thinkers, a New-York based commercial open-source Payment Management Software provider has launched a new program, targeted at venture capital firms and private equity houses. The new program allows companies with portfolios to come up with efficient portfolio processing optimization strategy. development of a smart strategy for negotiations with the acquirers to get the best possible processing terms (i.e. interchange rates), thereby, increasing profit margins of both individual portfolio members and the underlying holding or investment group. One of the ways to increase profitability of a company, based on recurring revenue, collected by means of electronic payments, is to lower its processing cost. This is a fairly un-intrusive way to accomplish immediate profitability. Individual portfolio members often do not have substantial volumes to negotiate better processing terms with their respective acquirers. Even if better processing rate can be negotiated (based on consolidated processing volume), the new processing solution for the entire portfolio is often difficult to implement, due to technical limitations of acquirers’ legacy platforms and labor-intensive process of integration with the underlying payment platform. UniPay technology serves as the essential enterprise-level payment middleware that allows to considerably simplify this undertaking. UniPay is, in a way, an adaptor placed between the legacy technology of the acquirer and payment platforms with sophisticated needs. It compensates for the deficiencies of the underlying processing platform, and satisfies the needs of software platforms for advanced functionality. UniPay technology is developed, maintained, and constantly updated by a large team of developers, specializing on integration works, addition of new functionality, and migrations of merchants from one system to another. That is why, processes, which take a long time to accomplish if you work directly with the acquirer, can be completed faster, and more ambitions deadlines can be met. UniPay technology is implemented in the form of a robust and highly-customizable open-source payment gateway software product. Many SaaS platform providers have already integrated with the UniPay Gateway solution. Moreover, the technology has been licensed by some large venture capital firms and Fortune 50 companies. UniPay Gateway technology already includes different integrations for processing of payment cards and direct debit, as well as logic for merchant underwriting, onboarding, payment processing, remittance, funding, and recurring billing. It also includes its own EMV card-present solution. “Companies, that process electronic payments, especially, recurring payments, become more and more attractive for investment firms. However, when you invest money into these companies, you need to determine, how payment flows can be integrated into a unified solution, suitable for your entire holding and for your whole portfolio. A unified solution should simplify such processes as relations management, funds reconciliation, merchant underwriting, etc.” says United Thinkers president, Eugene Kipnis. “Armed with our extensive experience of working in the industry, we decided to come up with such a solution, help those who need the respective services, and assist them along the way to unification of processing technologies. We strongly feel that our newly-introduced enterprise payment technology will solve the problem for many investment companies”. 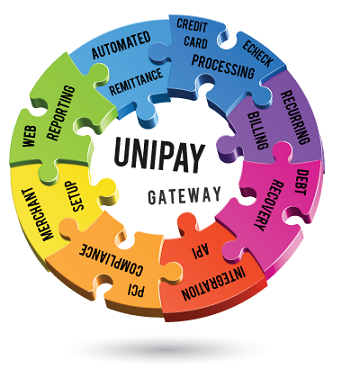 If you need more information on how to integrate UniPay Gateway technology into your particular payment ecosystem and make it work to increase the performance of your portfolio, you are welcome to request and schedule a free consultation with our payment experts. Free consultations are a limited-time offer. Press Release: United Thinkers has launched an enterprise payment technology designed explicitly for venture capital and private equity companies.